It’s not only incredibly fun but makes them smarter and a better person – scientifically proven! It’s the same every year. Christmas is approaching fast and you don’t have a gift for the children in your life. They might want the newest PlayStation or another game for their computer. You want to gift them something that doesn’t fry their brain cells and have them staring at a screen the whole day. But most importantly – you also want to gift them something fun. Something that makes their eyes shine a little bit brighter. And maybe something that puts a spark into their hearts – for the rest of their lives. 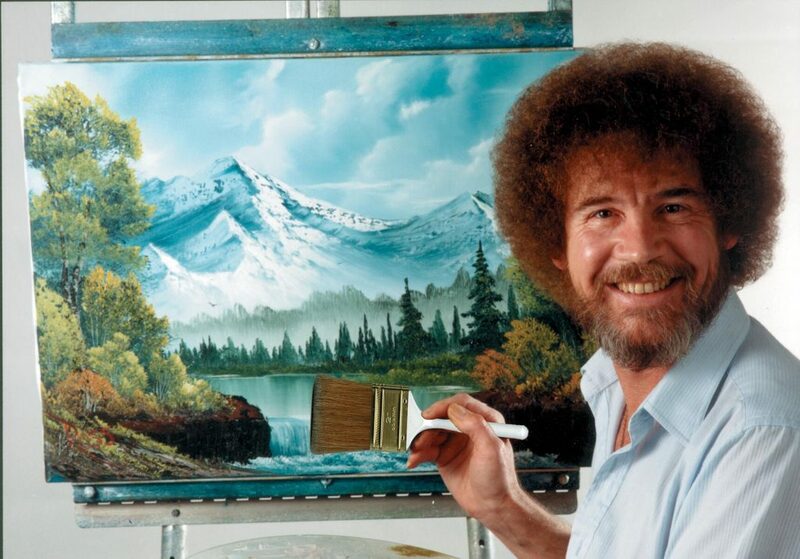 Remember the TV painter Bob Ross? A soft spoken man with permed brown hair who knew his way around a canvas. Maybe you used to watch him years ago on cozy Sunday mornings. What would you say if I told you that Bob Ross and his show (which stopped airing 20 years ago) have over 1.5 million fans on Facebook, and young people today are absolutely in love with the painter? They are sharing pictures and quotes with each other and are having paint-along-parties where they follow the old masters instructions – and having the time of their lives! Just as easy as it seems! “Everyone can paint.” Bob Ross believed in these words and lived them. He inspired countless people to pick up the brush and give it a try. People that had never tried art in their lives before. People that were told “you don’t have any talent” by teachers. People who didn’t believe they could do it. But Bob Ross believed in them. Almost everyone that tried to paint along with Bob Ross was surprised by their first painting. Suprised how easy it was, how good it looked. And to be honest, how long it took. 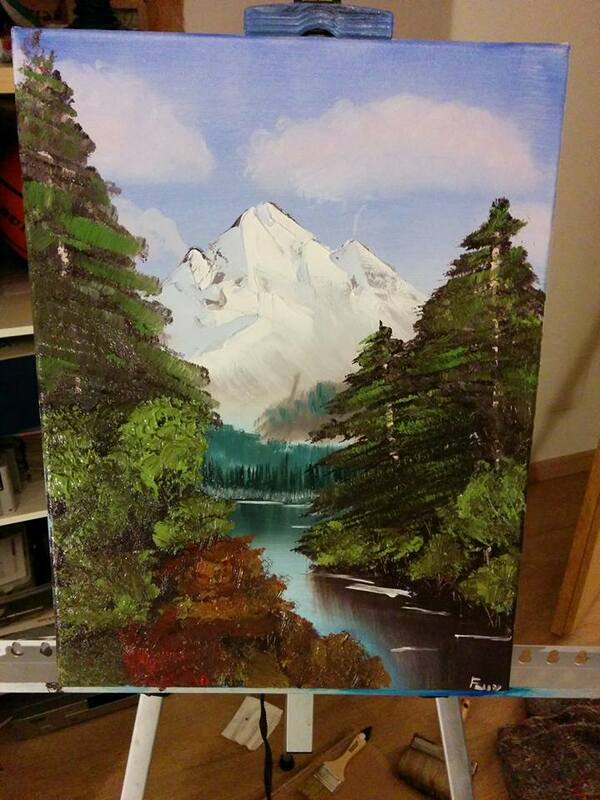 While Bob finishes his paintings in less than 30 minutes on the show, in reality it takes around 2 hours for a first timer. But that’s part of the beauty. Painting teaches creativity and patience. My own first try. The mountain is a little smudgy, but I was really happy! Great for mind and health – scientifically proven! Countless studies have shown what every painter knew already: Painting is not only fun, but great for your mental health. Only 45 minutes of doing art reduces the stress hormones in the body by a significant amount. The scientists noted that this effect was especially strong in younger people, meaning that kids benefit even more from it than adults! Increasing confidence, empathy and tolerance. Doing art is great way for children to boost their confidence. They can create something, whatever they want. And with Bob Ross this is going to turn out great. Finishing the first painting and watching someone put it on the wall (not just because it’s something they made, but because it looks fantastic) will be a memory they’ll treasure for their whole lives! Studies have shown that engaging with art makes kids more empathic, more tolerant and more diplomatic. Effectively making them better people! The best way to get painting. Let’s sum this up: painting is a fantastic activity that will not only make your children grow as persons but which is fun, challenging and will create wonderful memories for the rest of their lives. This is where you come in: The best and easiest way for you to enable your child to do this and unleash their potential and inner artist is the Bob Ross Master Set. The Master Set contains all brushes and paintings you need to get started right away for around $100, while including supplies worth over $180! Instructions for a first painting are included, but we suggest following our “Getting Started” guide for even better results. The included paints will last for quite a few paintings, so unlike some toy it is not something that goes to waste after half an hour of play time. You can find a detailed review of the Master Set and all included supplies here. 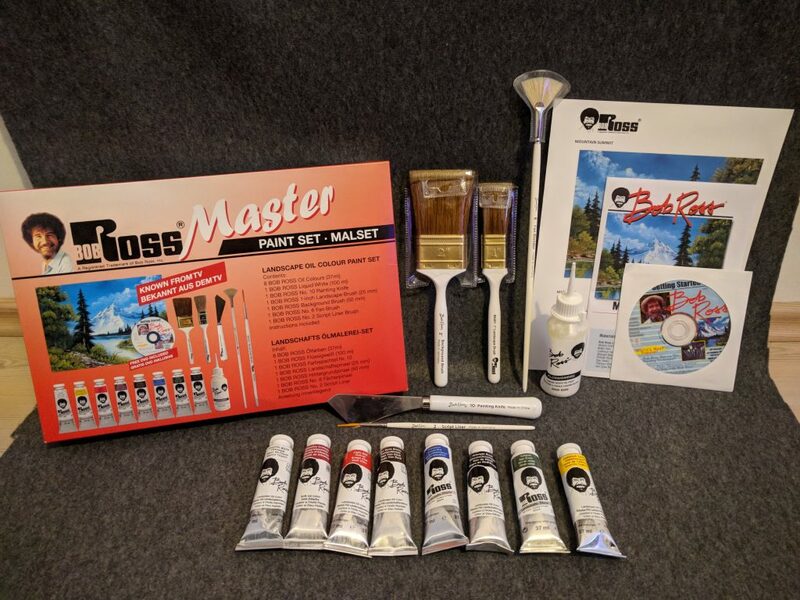 Don’t wait any longer, you’re probably not the only one thinking about gifting a Bob Ross Master Paint Set. The product frequently goes out of stock. And who can blame people with the fantastic value you get with it! Head over to Amazon.com and order it now, comfortably right to your doorstep!